All baseball players want to get better, and most are willing to do something about it. The question is what workouts or exercises should baseball players be doing to get better. If you search on the internet for some help one of the ideas you will come across is that weight lifting is no no for baseball players. But I am here to tell you that baseball weight training should be a part of any baseball player’s workout program, along with agility drills and speed improving exercises. You just need to know what to do and not do. The importance of weight lifting for baseball is to build endurance. Leave the weight lifting for bulking up to the football players. In baseball we want to add more endurance, and at the same time increase your agility and flexibility. Building muscle mass will only hinder your baseball skills. And no one wants to work hard and not reap the benefits. Football players increase their lifting by adding more weight. Baseball players increase their lifting by adding more reps. The number one rule for baseball weight training is to never lift large amounts of weights over your head. In fact, many experts suggest that baseball players should never lift more than five pounds overhead. There is too great a risk of causing damage to your rotators cuff. For this reason the popular bench press should be left alone. Only the egghead football players like it anyway. There are two great weight lifting exercises that you can do without any weights, barbells or weight dummies. And pushups can be done almost anywhere. With pull ups you obviously need a bar. And the best approach with pull ups is to place the palms outwards. This helps build more strength in the arms. I am not a trainer or fitness adviser, and baseball weight training is too important for me to suggest a workout program for you. What I have been trying to do is educate you on what I know is important to be included in a good baseball weight training program. Again, if you are going to work hard at weight training it should be with the right workouts. In all parts of the country (and world) baseball has now become a year round sport. Within ten miles of where I live in the Midwest there are four indoor facilities to hit, pitch and take ground balls. Around here a baseball player can work on his skills if there is six inches of snow on the ground or it is 100 degrees outside. Many youth teams practice nine or ten months a year, with a two or three month winter break. Baseball weight training should also be a twelve month program. Look for a program that includes tough off season workouts and lighter in season drills. 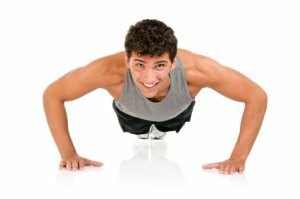 During the baseball playing season you want to do just enough weight training to maintain your strength. If you quit weight lifting during the season you will lose the strength you gained and open yourself up to injuries. Where should you search on the internet? Many of the weight lifting websites have a section on baseball weight lifting. Check out three or four different one before you select one. Every player is at a different stage when they begin weight lifting, so find a program that has a good starting point for you. Remember, caution is the main word. Baseball weight lifting can help improve your game, just don’t get injured in the process.